All of my choices I personally visited and chose wines from, none are marketing and pr pushes into cheap and lazy journalism that majority of the magazines and blogs today use without ever seeing and testing the place. 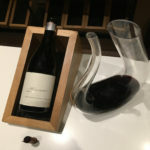 The best wine lists for me are those that offer plenty of aged bottles ready to drink (ideally on a special page), less known local wines where possible, better value bottles from renown producers, visibly mark biodynamic and organic wineries and include at least 10 wines by the glass. The later is a must at a good restaurant, wine bar or bistro. In the age of sophisticated preserving technology from pumps pulling out oxygen to the haut pomp of the coravin one can have a broader opportunity to drink moderately. 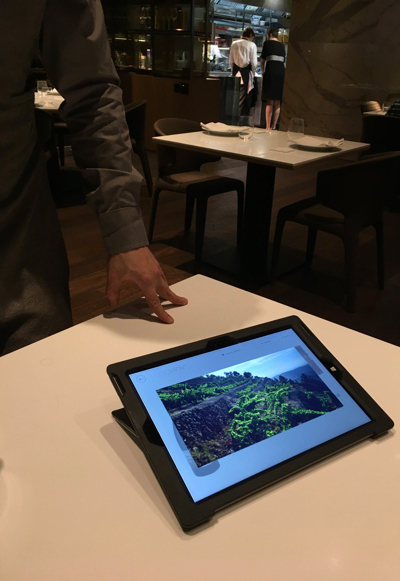 Still, a great wine list is not a win-win yet, and technology cannot answer more personal questions. The sommelier must be sensitive to your budget, taste, occasion and experience. A good sommelier listens to his customer and advises a short selection of bottles that make your choice easier. The process should not be intimidating but a good service sheds the weight off your decision making. Wine is about pleasure, release, socialising and after-work letting go off the hard day, so where can you get the best wine service? DISCLAIMER: All of my choices I personally visited and chose wines from, none are marketing and pr pushes into cheap and lazy journalism that majority of the magazines and blogs today use without ever seeing and testing the place. Apologies for not including some very special, small wine treasuries that shall remain secret as promised to dear friends. 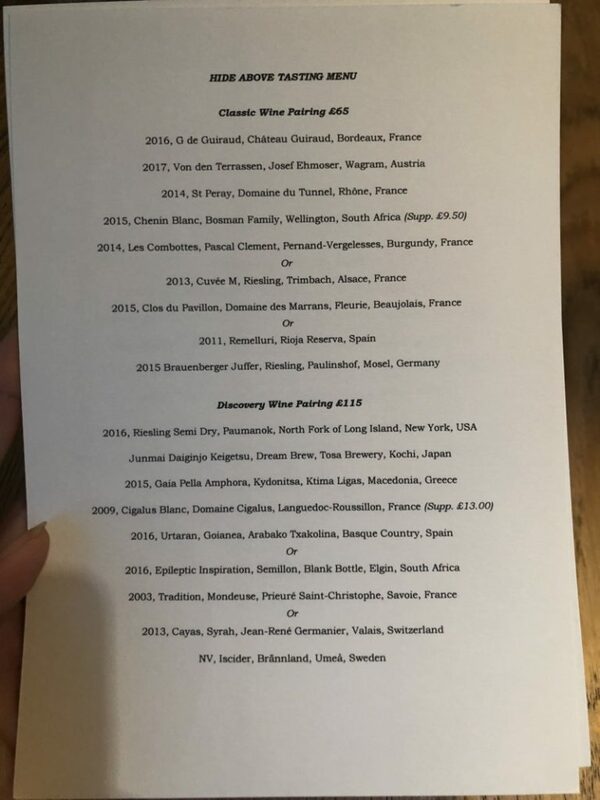 In London Hide is hard to beat for its wine menu. One of the best cellars in the wine savvy metropolis – Hedonism Wines supplies the bottles. The pairing flights are fun and flexible. If you do not want a sweet wine the sommeliers happily suggest replacement. I like the pace and the more satisfying than pretentious food Below as opposed to the lengthy service Above. The Classic, Discovery and Hedonistic wine pairings offer very different experiences for your momental mood. Trust your gut. Also in London, the Pall Mall 67, a private members club for the wine trade naturally hives in amazing bottles, but you must know someone from the wine trade to be allowed to sample some of their savvy selections. The Greek wine director and his passionate, multi-sommelier team are open to discussion and pleasant to talk wine. Most restaurants in Paris offer the typical (narrow-minded excuse my French!) 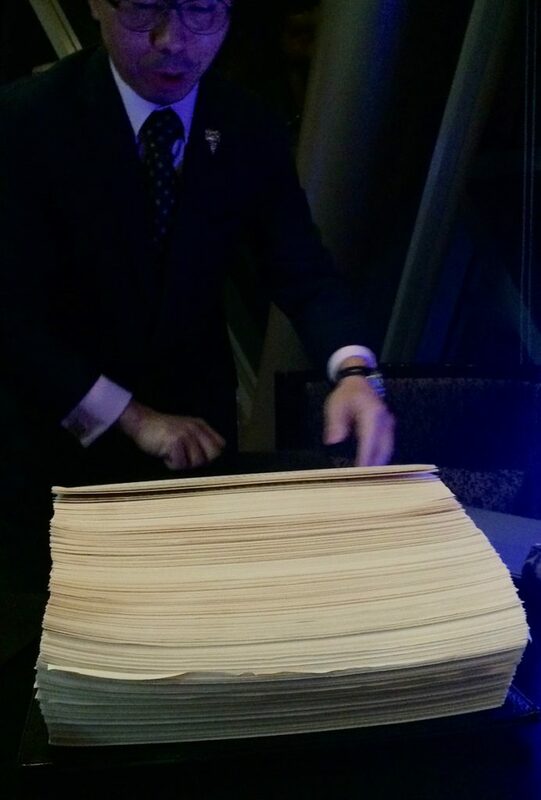 French-only wine list. 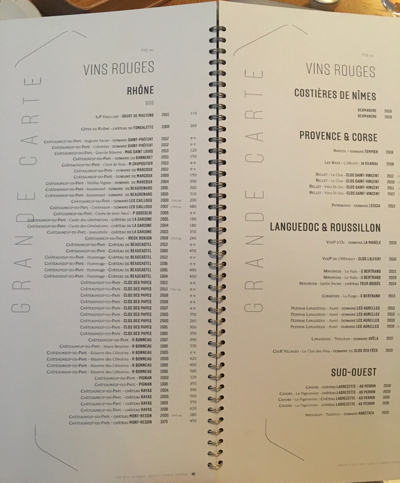 The wine list at the three Michelin star Alain Ducasse at Plaza Athenèe (photo bellow) is not as fully loaded as its cellar but suggests what’s ready to drink now. 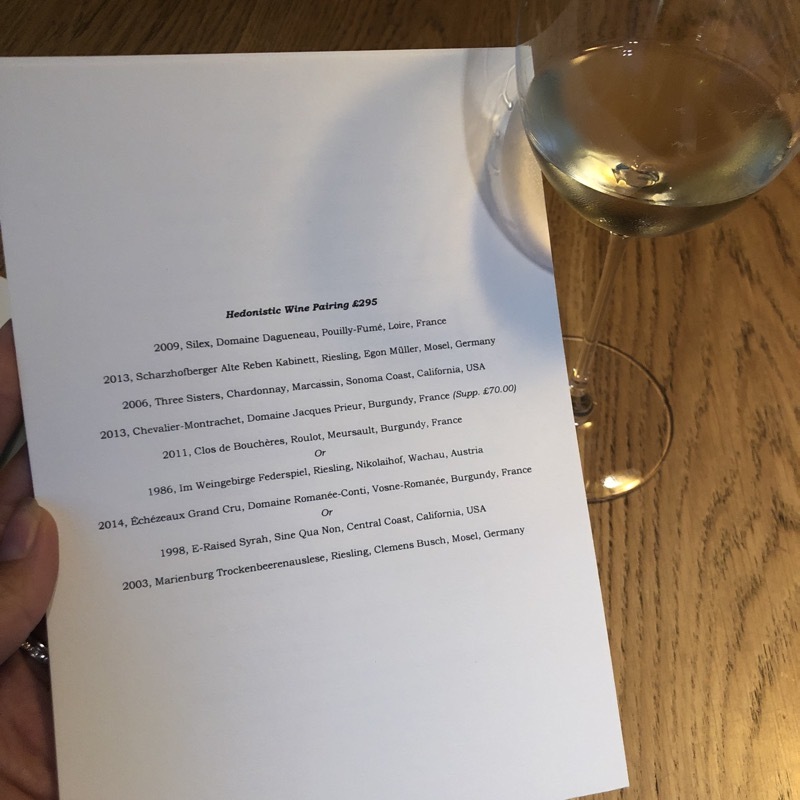 Although I prefer to drink as local as possible, I cannot include any of the venues in the French capital that dined at over the past year in my best, most interesting wine list, but there are two special places I frequented years ago (read further) that stand out. Italy does better. 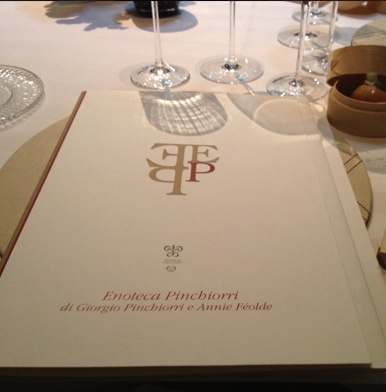 The legendary Enoteca Pinchiorri in Florence is known for its superb wine list and it delivers beyond the Italian borders. 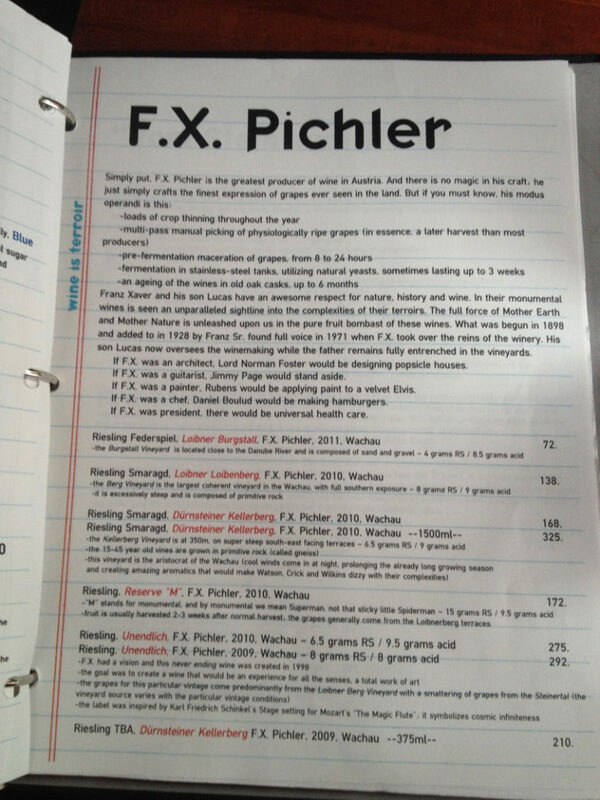 More, here I saw the most exclusive by the glass program ever at a restaurant. The rarest and most prestigious wines sparkled in the Ausone, Cheval Blanc, Lafite, Latour, Petrus, Rayas as well as Henri Jayer’s praised Burgundies company. Conterno, Gaja, Tenuta San Guido et al. in the Italian stable (photo bellow). 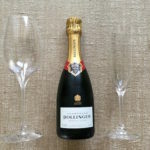 Still, only for the billionaires – about €6000 for six small glasses while a minimum of two drinkers must participate (each pay, not splitting). 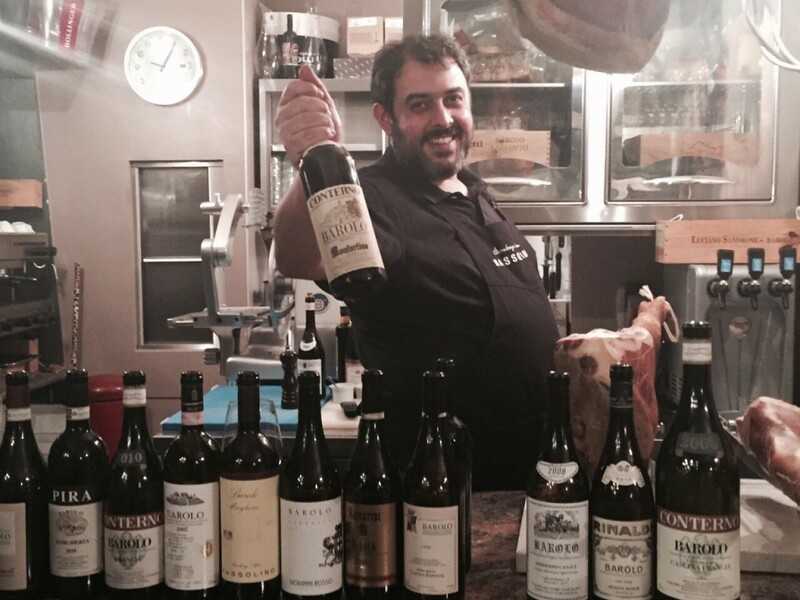 We went for a vintage against a vintage comparative tasting of Burgundy vs. Italy. 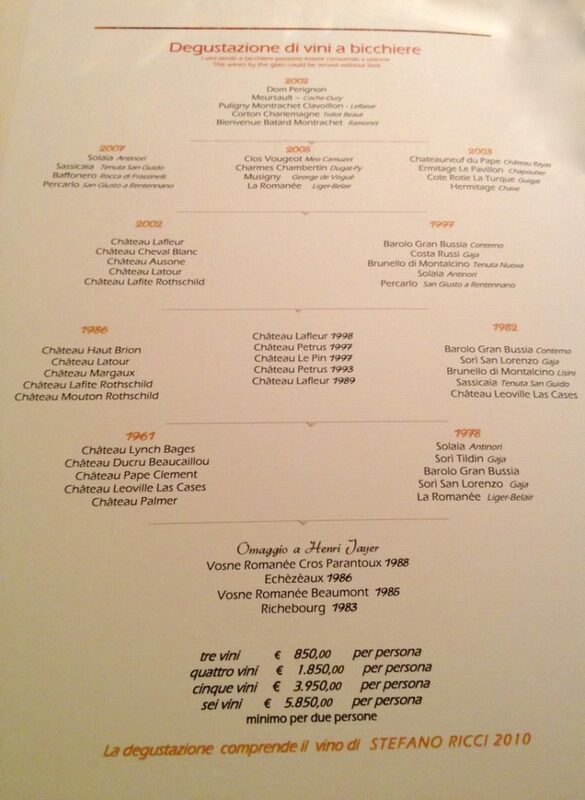 The best wine lists should look like this. 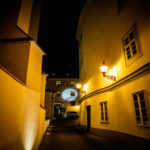 In Spain, El Celler de Can Roca offered the best wine list to us. The female sommelier was patient and sniffing our interest added some of the wine flight glasses to our two bottles of tiny production Spanish reds. 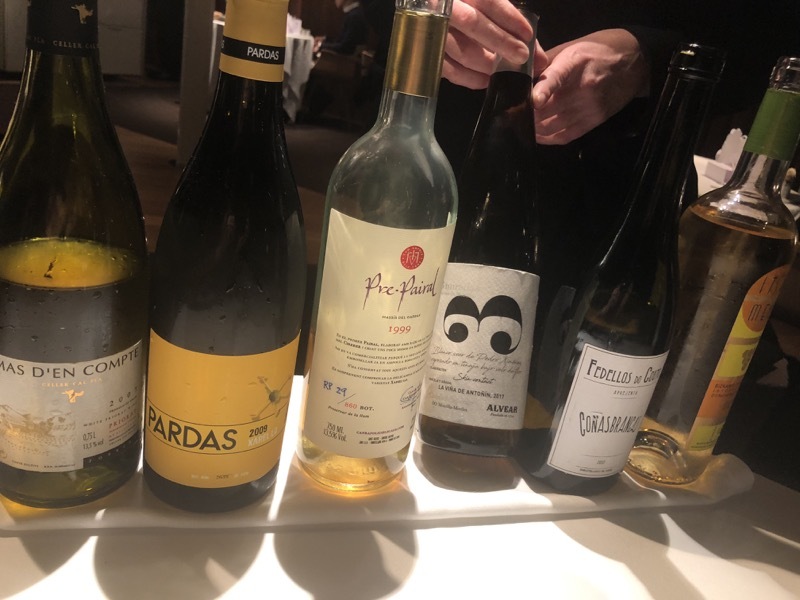 The best cavas we have tried, incredible white from Penedes (some 800 bottles produced, photo bellow) plus so many great values for the pleasure at a three Michelin restaurant is a rarity. 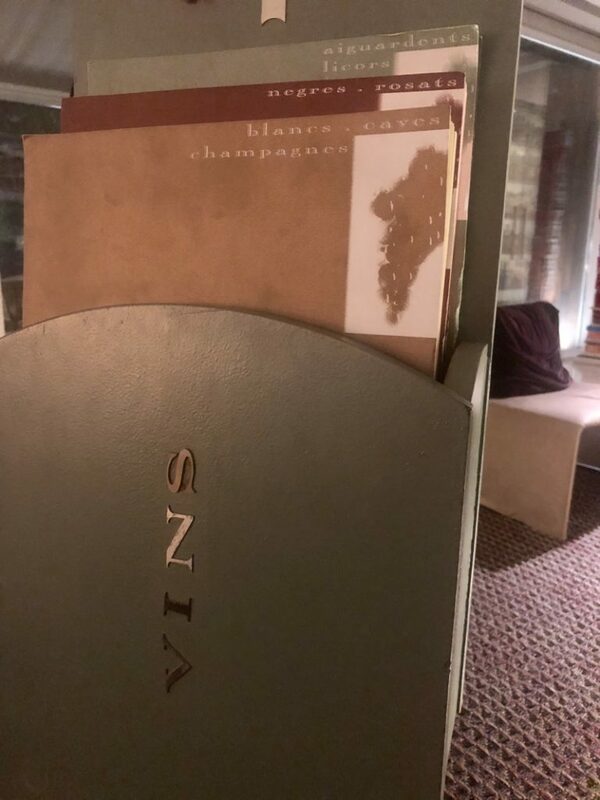 The service as well as the list itself were better than at Monvínic in Barcelona, where a couple of birthdays back and a post-dinner cuppa another time I was not very pleased with the suggestions. In New York, the Chef’s Table at the Brooklyn Fare now relocated to Midtown Manhattan is not just the most talked about three Michelin stared restaurant in town, but offers all of my above criteria with a helpful hand of the sommeliers. 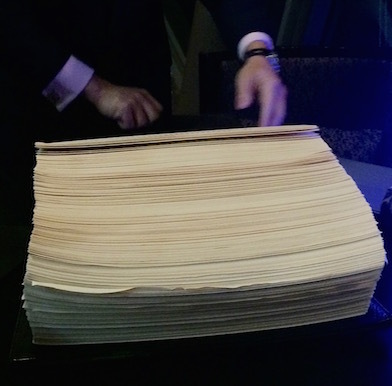 For a specialised wine list, the Hearth in East Village pleases particularly the Riesling buffs (photo bellow). From Austria, Germany through the Finger Lakes to Oregon, the expressive white varietal is celebrated intercontinentally. There are other grapes on the carte but the apples, green vegetables and often mineral expression of its terroir in Riesling rules. Wines from the Middle East for an off the fancy path experience show a rare, savvy palate. In Macau, Joël Robuchon au Dôme may have disappointed me with the food, but the double-bible list is exceptional. The gamblers have it easy to spend their fortune on celebratory bottles from the rarest vintages. Verticals (an uninterrupted row of vintages of the same wine) and global choices impress. 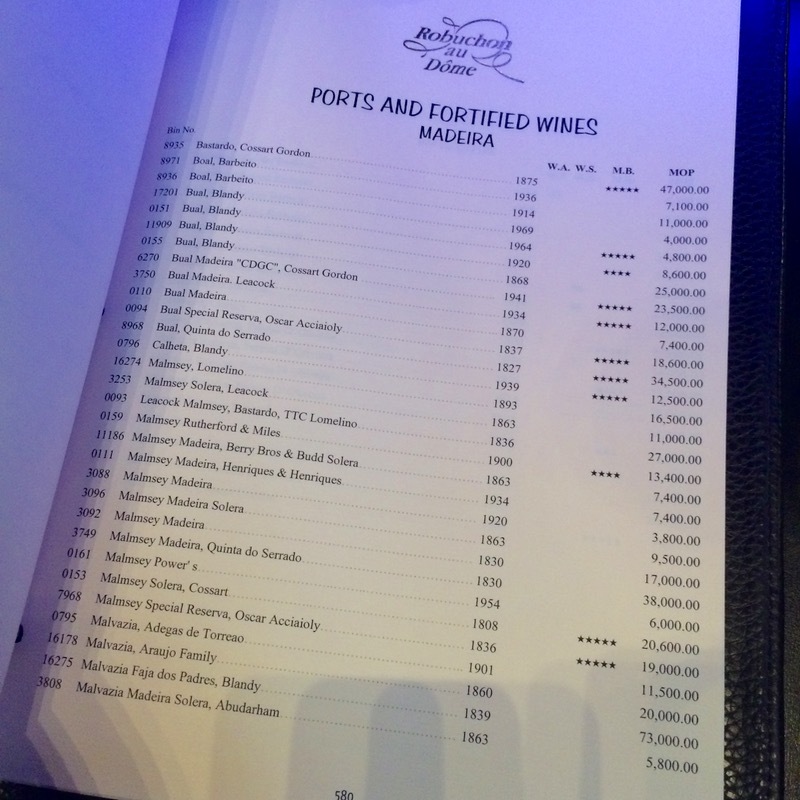 Where do you see Madeiras and Ports from early 1800s? Perhaps at La Tour d’Argent in Paris as far as I know, but there the rest is Francophile. If you are a well-travelled wine expert or connoisseur and know some other extraordinary wine lists, please, share them here with us! 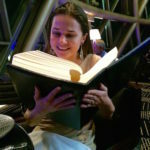 Let’s enjoy the bounty of the human interaction with nature from the best wine lists, santé!